If you are coming to Belgrade for the first time, you should definitely try and spend more than just a few days to meet this amazing city. The Serbian capital has become a party capital as well in the last couple of years, and apart from that, it offers much more. Excellent food, welcoming people or rich cultural heritage – you name it, Belgrade has it all. But, if you are here for just a few days, and these days happen to be over a weekend, this is great as well, because weekend days are perfect for getting to know this city in its relaxed pare, and get to know many of the locals who tend to be stuck at their offices throughout the week. On the first day upon the arrival, you should try and get to know the basics. The hotel or the hostel that you choose for your accommodation in Belgrade should be close or well-connected to the city center where all the main sights and nightlife are. Once you unpack, get ready for a tour around the city. Take a walk down the main pedestrian street, Knez Mihajlova, soak in the atmosphere of the city and take a look at the beautiful buildings’ facades. 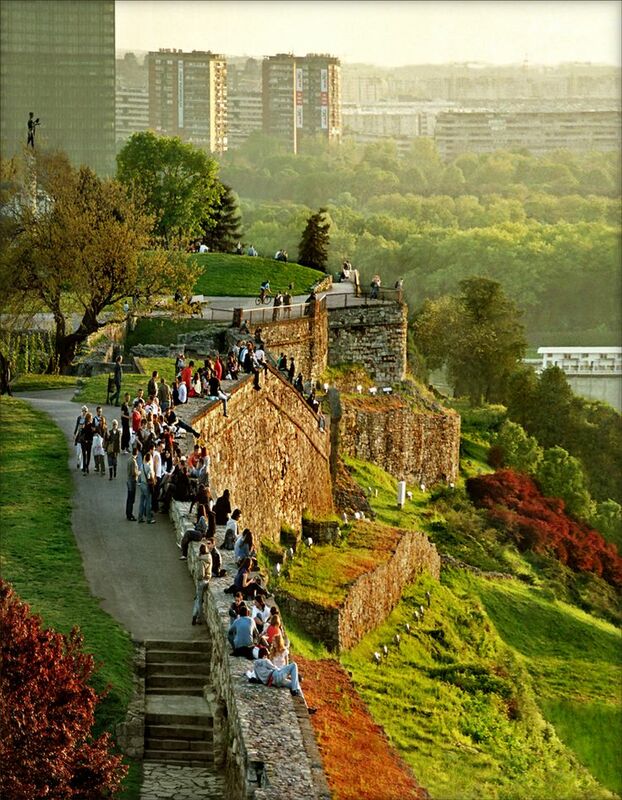 The Belgrade fortress, Kalemegdan, is located just off this street, and you should not miss it as it offers one of the most beautiful views of Belgrade, and the parks and cafes in the fortress are perfect place to sit down and relax from your trip to Belgrade. In the evening, get ready to party! Friday is the most popular night of the week for all the party-goers, and all those who are tired of the busy week behind them. Head out for one of the clubs and join them! Some of the most popular night clubs are located on the rivers, so you can choose one of the open-air rafts and you will be sure to have amazing time. You can choose of the most popular night clubs on your own, or you can ask for a recommendation from the Belgrade at night service. Belgrade at night is designed to make sure that tourists who come to Belgrade have the best time possible, and some of the services include booking your place at the clubs, VIP rent a car or hosting at the clubs. If you want to feel like a real VIP, rent a luxury car and start your tour of the Belgrade clubs in style. After a crazy night out, you will need to relax for a little bit. And what place is better to do this than a relaxed bar by the beach in the center of the city? Ada Ciganlija, or as the locals like to call it the Belgrade sea, is a small island on the river Sava, the perfect place for a Saturday afternoon. Here you have bars and restaurants on the very beach, places ideal to chill out and think back to the fabulous moments you went through the night before. Once you get hungry, head out once again to the city center. Look for the Skadarlija quarter, because here you will find some amazing restaurants that serve traditional Serbian food. Food here is taken very seriously, and it is unacceptable that a tourist leaves the city without trying out some of the local specialties. Ask for a recommendation from the chef or the waiters, as many of the restaurants are specialized for a dish (or one type of food) in particular. Be sure to have some rakija before the meal, as it is another custom that is taken very seriously, and that will make you feel like a local. When the sun sets, the nightclubs open their doors and beckon to you once again. It’s no use resisting, so put on a fancy outfit and fancy outfit and join the locals in another amazing night out. If Belgrade hasn’t taken up all your energy by Sunday morning, then it’s time for shopping! Belgrade has a wide choice of places for shopaholics that include a few shopping centers, luxury boutiques, stores from the local brands as well as brands from all over the world. Shopping center Ušće is located in the Novi Beograd part of the city, as well as the shopping center Delta city. These are the largest shopping centers, and offer the best choice of stores in the city. Apart from these, the main pedestrian street, Knez Mihajlova, Belgrade Design District and the Dorćol quarter should not be missed if you feel like spending your money. Here you will find clothes, accessories, souvenirs and local products, perfect to take home with you as a memory of this amazing place.